This week I've been playing with some new goodies -- Tim Holtz's new Distress Oxide inks! 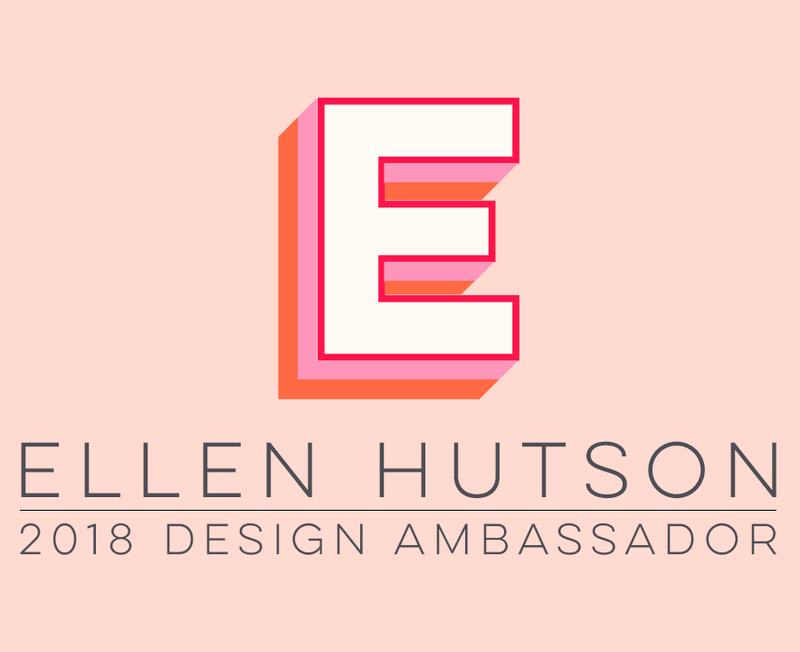 (Ellen Hutson just received a new shipment today, so get them while you can HERE! If they happen to disappear quickly, don't fret -- I hear another shipment should be received next week!) This first offering of 12 colors is a beautiful selection; below I've shown a few of them. On the left side of the color swatches, I applied the ink direct-to-paper from the ink pad. On the right side of the swatches, I sponged the color on. As you can see, the sponged color turns out a little lighter (although more color can be built up to achieve the same color as the direct method) and blends BEAUTIFULLY -- so much smoother and effortless than regular Distress Ink! The first thing I wanted to try with these inks was watercolor . . . And it worked beautifully! Therefore, when they are applied WITH water, a lighter, softer version of the original color is achieved and it is gorgeous! Pink Ink's new Boho Flower Frame was the perfect little floral garden to practice on! I gold heat embossed the image onto Ranger watercolor paper and then simply picked up color directly from the Oxide ink pads with my waterbrush and colored away! And burnished the glitter into the tape, using my fingers.The glittered image was adhered with X-Press It Double-Sided High Tack Foam Mounting Tape to Taylored Expressions Salt Water Taffy card base. Pink Ink's pretty "Every Day" sentiment was also gold heat embossed in the center of the flower frame. Just change out the sentiment and you could easily use this floral image and card idea for just about any occasion! Thanks so much for joining me today! Check back on Friday -- I'l have another watercolor project using Distress Oxide inks! Essentials by Ellen February 2017 Release Blog Hop & Giveaway! Welcome to the February 2017 Essentials by Ellen Release Hop! I’ll be showcasing several of the new products on my post today! Read more below about the giveaway! This card started with a watercolor background created with a mixture of Kuretake Gansai Tambi watercolors in No. 50 Pale Aqua and No. 61 Cornflower Blue on Ranger Watercolor Paper, using a Black Velvet 8 watercolor brush. After the watercolor had dried, I stamped the flower with Cracked Pistachio Distress Ink. The spa girl stamp images were inked with Distress Markers: Cracked Pistachio (towels), Antique Linen (skin), and Spun Sugar (lips), Frayed Burlap (eyes) and stamped onto watercolor paper. The mask and straw were inked with Picked Raspberry Distress Ink, the cucumbers with Lucky Clover, and the glass with Tumbled Glass. After each of the images were stamped, I ran a watercolor brush over them, to spread the ink around the image. All the images were die cut with their coordinating Spa Day dies. The glass was also die cut from Ellen's 40# Vellum and adhered over the cucumber and straw, to give it a realistic glass look. To finish the card, I die cut Mirror Mirror from Silver Foil cardstock and Vellum and layered them together. It was popped up with X-Press Foam Tape onto the background. Finally, the Spa Day sentiment was silver heat embossed and the leftover tiny circles that came out of the mirror die cut were adhered to the centers of the background flowers! Spread the Sparkle stamp set and Sparkle die were originally free gifts with purchase back in November, to celebrate Ellen's 10th Anniversary, but are now available for sale! I made a shaker with the Hinged Thanks die and filled it with Strawberry, Sea Breeze, and Clear sequins. The shaker letters are all still affixed to the die cut cardstock along the left sides (thus the "hinged" name! ), creating fun peek-a-book "doors". The shaker piece was backed with Taylored Expressions Cookie Monster cardstock. I die cut the "thanks" letters again, from Be Creative sheet adhesive and glittered them with Elizabeth Craft Silk Microfine Warm Diamond glitter using the Burnished Velvet technique, then cut them out and adhered them over the shaker letters. Hopefully, you can see the pretty sparkle by clicking on the photo above for a larger view. The sequin stamps from the Spread the Sparkle stamp set were stamped with Taylored Expressions Strawberry Milkshake, Salt Water Taffy, and Sprinkles inks. The "You make my world" sentiment, also from the Spread the Sparkle stamp set, was silver heat embossed. The coordinating Sparkle word was die cut from another sheet of Be Creative sheet adhesive and this time glittered with Royal Teal. It’s a good thing you are here because I’m giving away an Essentials by Ellen stamp set! The winner may chose any in stock Essentials by Ellen brand stamp set (Maximum value $25 USD) at Ellen Hutson.com. To enter, please leave a comment on THIS POST by Tuesday, February 28! There is also an AMAZING Grand Giveaway on the CLASSroom blog! To enter, be sure to leave a comment there, too, by Tuesday, February 28! ALL winners will be announced at the CLASSroom on Friday, March 3! Please check there on that date to see if you are a winner and for further details on claiming your prize! Next on the hop is the fabulous illustrator of the Spa Day stamp and die sets I used above, Brandi Kincaid! Thanks so much for stopping by and happy hoppin’! High Tack Double-Sided Foam Mounting Tape, 1/4"
Today over in the CLASSroom I have this fun card to share, which uses an ENTIRE stamp set for the background! Please come visit me there, for all the details! PLUS, Stamps are on sale this week at Ellen Hutson LLC. What?!! YES!! Click the graphic below to shop the best selection of in-stock stamps, while they are still available! The sale continues through this Sunday at 11:59pm Pacific. Copic Marker Free Valentine Art Download! Hello and happy Valentine's Day, friends! If you are like me and need a quick last-minute Valentine (and don't want to get out in the pouring rain, like it is here today! ), Copic Marker has you covered! They have two different downloadable FREE pieces of Valentine artwork you can print off and color, with two different print color options per image as well! You can download those HERE. I chose the squirrel image because we have about 5 or 6 squirrels at any given time that are playing in the trees, woods, and creek behind our house (and ON the house) ... it is quite entertaining to watch them! You can watch a video of the fabulous Chihiro Howe coloring the same squirrel image I have, by clicking HERE. The squirrel tails were colored with the W-series markers shown above, using long flicking strokes to create a hair-like texture. To make the image into a quick card, I die cut it with Taylored Expressions Stitched Rectangle Stacklets, which can be found here or here, framed the image with TE's Lemon Meringue cardstock, then mounted it onto a Lollipop card base. I left a sentiment off the front of this card, so it could also be used for any other occasion, if needed. Enjoy your free downloadable artwork, folks, and Happy Valentine's Day! Happy Friday, Friends! Today over in Ellen Hutson's the CLASSroom I'm sharing this cute Valentine card made with Darcie's Heart & Home clear stamp set "Love Hearts" and coordinating Tin Pin embellishment. These sweet little 1-inch dimensional tin embellishments give a fun pop and dimension to their coordinating stamp sets, or can be used alone to create quick and easy one-of-a-kind projects! I hope you'll make it over to this blog post for all the details! And it just so happens that Embellishments are on sale this week thru Sunday at 11:59pm Pacific over in Ellen's store. Click the graphic below to shop . . . You're welcome! !